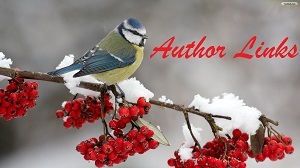 If you enjoy fast-paced, steamy hot romantic suspense then buy Unbeatable Love now. I love Marcus, he has suffered so much trying to protect Hailey. The ladies of Black Swan had adopted him and took care of him during recovery for one of the many surgeries he’s had to endure so far. Through it all he’s only had eyes for Tori, a former model, he feels was way out of his league even before the Cartel beat him almost to death. Now with all the scars he knows there is no chance for anything but friendship. Ironically even though he’s ATF he has no clue as to who and what Black Swan is, all he knows is that they work for Homeland Security. until he’s escorting nuclear devices with another agent and the truck driver. Still not quite knowing, he’s invited to breakfast at Katlin’s, well more like dinner because of the hour, but they had all gotten in around noon and crashed. It’s going to be a wedding! Harper and Rafe! and Tori and Marcus need dates. Tori asks Marcus I am so thrilled. This is a favorite scene when Marcus picks her up for the wedding. Her phone rang, and she snatched it off the counter. 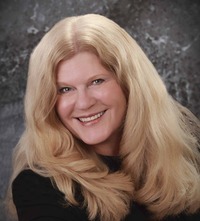 She smiled and shivered deep inside when the caller ID showed it was Marcus. Looking at the time, though, she hadn’t expected him for another ten minutes. A shot of cold fear ran through her. What if something had come up at work and he now couldn’t accompany her to the wedding? “Please tell me you’re not canceling on me.” She didn’t hide the begging in her voice. “Have I thanked you for being my plus one?” He parlayed back. “I’m looking forward to this date, but I’m also thankful you’re running a few minutes late.” She looked down at her bare feet, makeup strewn across the counter, and she hadn’t put her weapons into a small purse. She still had several things to do. “That’ll work. I’ll see you in seven minutes then.” He sounded excited about their date which just made Tori even more anxious. “See you then.” She hung up the phone. She was OCD about cleaning up and putting everything away exactly where it had come from. Perhaps it was just good habits she had developed living in and out of a suitcase and on the road. Everything had its place and if you returned it there after each use, you’d find it there when you needed it in a hurry. Also, if it was properly stored, no one could steal it. Lessons she’d learned the hard way on her first photo shoot. 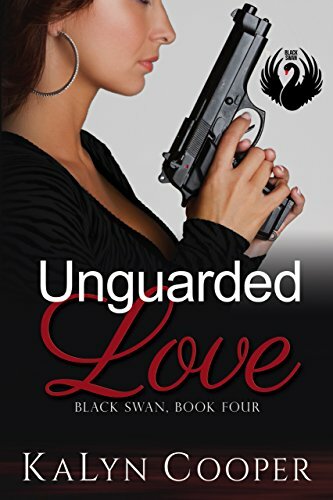 Accustomed to multitasking, Tori slid into her gold strappy high heels while stuffing her small carry gun, lipstick, additional magazine, compact, throwing stars and touchup foundation into the sparkly gold and black bag. She checked her hair one more time then fussed with a small strand the didn’t want to stay in place. Another douse of hairspray tamed the little beast. She slid on her black watch with gold trim noting the time. Grabbing her necklace and earrings, Tori headed out the door. While waiting for the elevator she poked the Onyx cabochon ear rings surrounded by braided gold into the holes in her ears. On her way down to the lobby, she was able to fasten the matching necklace. By the time the door slid open, she was as ready as she was ever going to be. Striding across the small lobby to the glass door she watched the dark blue Civic Coupe pull up to the front. Tori smiled when Marcus stepped out of the car to greet her at the door. His honesty made her blush. “You clean up pretty good yourself.” She closed the distance because she wanted to touch him. Pretending there was something wrong with his tie, she readjusted it. When she lifted her hands, he grabbed one. Turning it over, he kissed her palm. No man had ever shown her such personal affection. On the other hand, she’d never kept one around long enough for him to really get to know her. Marcus knew her casually, socially, and through discussions they’d had at parties. He’d been a friend for…wow, over two years. This was new territory for her. She never had male friends until she’d moved to D.C. with her Black Swan team. Hell, she hadn’t had female friends either until their secret training. Now she had lots of both and liked it. But Marcus was taking her to a different place…friends to lovers. It was exciting and made her nervous at the same time. She rarely thought about the future because sometimes, she wasn’t sure she’d live through the day. Life was to be lived to its fullest, every minute, every hour. For the next several hours, she intended to have a good time with Marcus at their friends’ wedding. “Are we ready to go?” He didn’t release her hand as he stepped toward the passenger side of the car and opened the door for her. KaLyn Cooper. 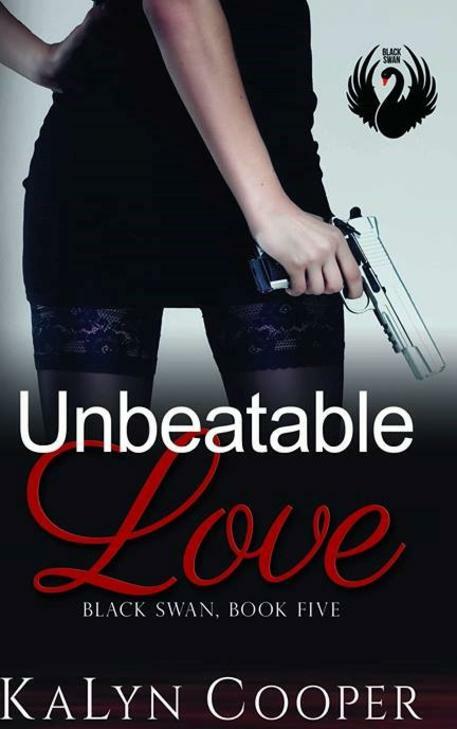 Unbeatable Love: Lady Falcon (Tori) & Marcus (Kindle Locations 767-772). Kindle Edition. A friendship that is suddenly burning hotter, will capture your heart. Now even though there’s a wedding, there are also plans in the works to get back the stolen nuclear rods. There’s a lot of tension in this book, most of it caused by Jack Ashworth. If you’ve been following this series, you’ll remember the hell he put Lady Hawk (Katlin) through. I really wish someone would do something about him, he really gets on my nerves with all his posturing. We get to meet the rest Black Swan Team 2 in this book and some Deltas too. The Guardian Security guys lend a hand as well as CIA agents Daniel and Santiago. Essentially the gang’s all here. I loved catching up with them all. 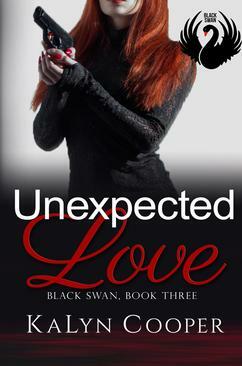 Don’t miss this awesome addition to the Black Swan Series.